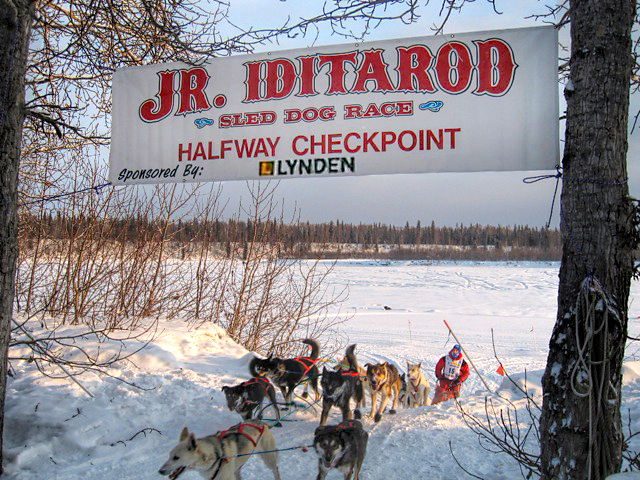 The 2014 Jr. Iditarod will be the 37th running of this 150 mile race for Jr. mushers along the Iditarod Trail. The 2014 Race will begin at Happy Trails Kennel on Saturday, February 22. The mushers will run to the halfway point at Yentna Station Roadhouse, home of the Gabryszak family, where they will overnight with a mandatory 10 hour layover. The next morning they will run to the finish at Happy Trails Kennel.. The Awards Banquet will be held that Sunday evening (February 23) at the Willow Community Center. Jr. Mushers are eligible to run the Jr. Iditarod when they are 14 and can continue to run the race through their 17th year. The last day to sign up for the Jr. Iditarod is February 8. Lynden is the sponsor for the Jr. Iditarod. To stay updated on the Jr. Iditarod events, view the Jr. Iditarod calendar at this link.